This is the step where you connect the iPhone to the MAC/PC/Android and the Server to the NXT. It requires a few additional steps described in more detail here. You are now ready to control the robot! While all the connections are made iPhone->Server->NXT you can switch between the remotes on the iPhone without the need to reconnect. Simulator “Turn ON” Button : by turning the Simulator Mode ON you can use the RoboRemote App without connecting to an actual NXT – the server receives the commands, updates it’s status and sends back simulated response feedback. 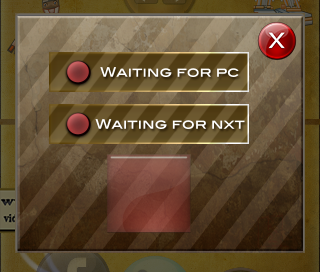 It is mutually exclusive with the NXT Connect Button: only one can be used at a time. iPhone Connect/Disconnect Button : this is the first step in establishing the NXT->PC->iPhone communication. Use this button to connect to the RoboRemote on the iPhone. 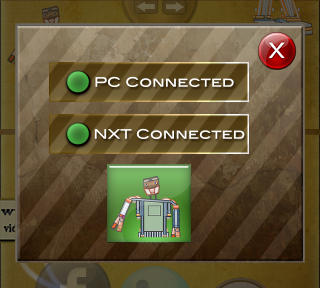 After the connection is made the other two buttons are enabled and can be used. This connection uses WiFi so make sure your are on a strong signal WiFi network. NXT Connect Button : use this button to connect to the LEGO NXT, this is mutually exclusive with the Simulator Button, and can only be used after the iPhone-Server connection has been established. This connection uses bluetooth so make sure you have bluetooth turned on both on your NXT and on your PC. Website : tap this to visit our website. Friend Zone : here we can become friends so you can keep up to date with everything that is new about RoboRemote – like us on Facebook, follow us on Twitter and tell your friends about us. 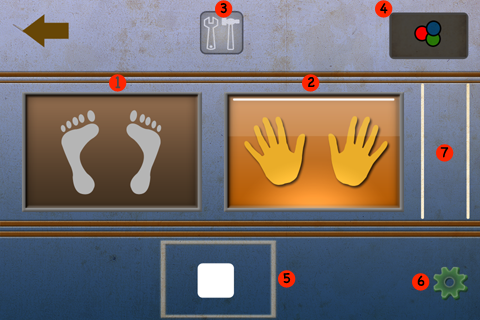 Hands : tap and hold the button to move the hands in the direction indicated by the arrow. Release the button to stop. 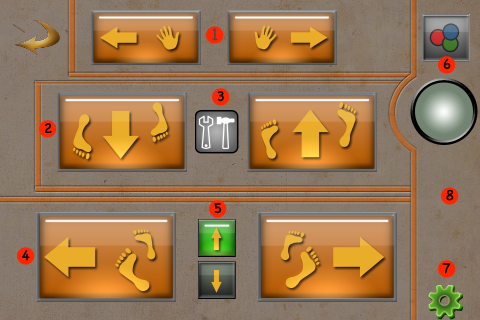 Feet Zone 1 move the robot forward or backward by tapping and holding down the buttons. Calibrate feet : if the robot moves in place, tap this button to calibrate the feet adjusting the correct distance between them. 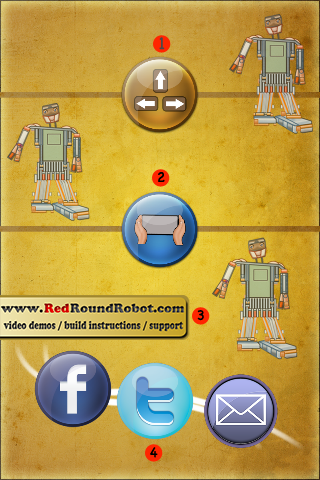 Turn : tap and hold the buttons here to turn the robot. 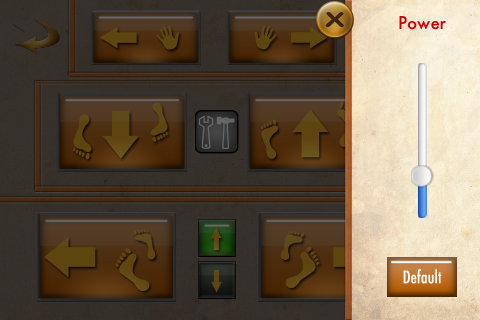 Feet : tap this button to enable the movement of the robot’s feet. Tilt the phone through the air and watch Alpha Rex move. It can move forward, backward, and turn in different directions. Hands tap this button to enable the movement of the robot’s hands. Tilt left and right and the hands will folow. Enter the power menu to adjust the power of the motors. We recommend using the default power,and only slightly increase it as the batteries run out. Using too much power will make Alpha Rex fall! The RoboRemote App connects to the PC/Android device using WiFi signal so it is important that you are on a WiFi network when attempting to establish the connection. Also the signal must be very strong otherwise there might be communication delays. The RoboRemote Server connects to the NXT using bluetooth, so make sure you have bluetooth enabled on your PC/Android and on your NXT.